I want to thank you for the outpouring of prayer and support that many of you across our diocese have offered this week for Jeanie and our family during this difficult time. Jeanie is currently in hospital and while her condition remains serious, she is resting comfortably under the care of a wonderful medical staff. At this time, I need to focus on Jeanie and my family. I will step away from my role as bishop for a time. I have asked Archbishop Colin Johnson to act as my commissary effective today, January 25, 2019. Colin will temporarily assume all episcopal responsibilities and authority as commissary and will fulfill the function of the office of the bishop of the Diocese of Ontario until I am able to return. I am most grateful for Colin’s willingness to act as commissary. 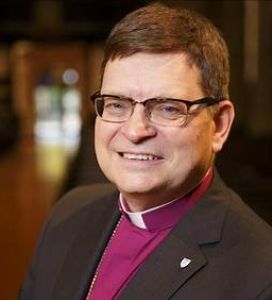 He recently retired as bishop of Toronto and archbishop of the Ecclesiastical Province of Ontario. Please continue to offer your prayers and support for Jeanie and the healthcare team charged with her care, for their skill and gifts of healing. Almighty and merciful God, You bestow on us both the remedies of health and the gifts of everlasting life. Look graciously on Your servant Jeanie and strengthen her soul which You have made.